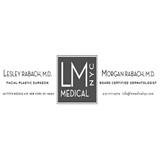 LM Medical NYC Dermatology and Facial Plastic Surg (New York) - Book Appointment Online! They were great, really easy going and personable. Spent most of the time waiting in the room for the doctor, but everything else was great, super easy, accepted my insurance and did all the hard work to get me in asap and make me feel comfortable and my questions answered.